Digonnet says his focus will be accelerating the shift from digital communications to platform building. Vincent Digonnet, former APAC head of Razorfish and Digitas, has joined MullenLowe Profero as Asia-Pacific CEO. Wayne Arnold, global CEO of MullenLowe Profero, said it's been his plan to hire an APAC CEO for three years, since MullenLowe (then Lowe and Partners) acquired Profero. "There aren’t that many people who can fulfil this role," he said. "We don’t want someone who has come into this region for the first time. We want someone with deep digital transformation work with CEOs." Digonnet was APAC executive chairman for Publicis Groupe agencies Razorfish and DigitasLBi starting in 2011, and added the title of global chief growth and transformation officer at Razorfish starting in 2015, with a focus on China and India. He relocated to the region from his native France in the mid 1990s, and served as regional CEO at Euro RSCG (now part of Havas Creative Group) for seven years, before moving to China as CEO of Hemisphere Asia, a holding company involved in digital ventures. "Bringing Vincent onboard is humbling," Arnold said. "His experience in the region is remarkable. He feels as comfortable talking to clients about how technology can deliver end-to-end customer journeys in China, as he does discussing global brand strategy out of Japan." 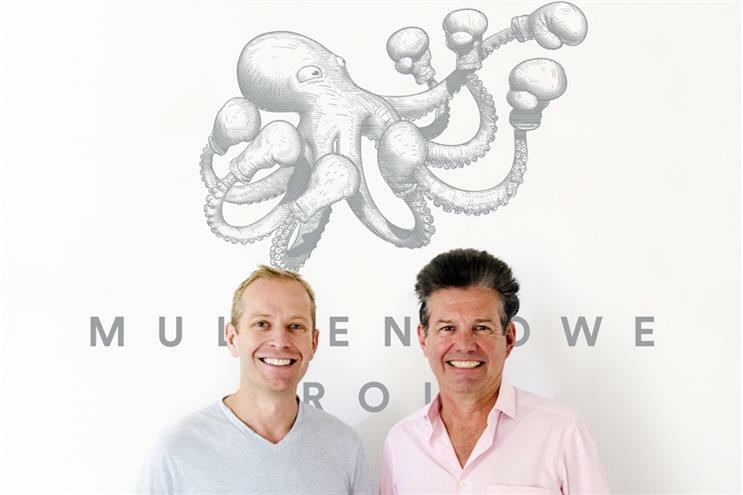 As the digital arm of MullenLowe, the MullenLowe Profero network has nine APAC offices in Greater China, Australia, South Korea, Japan, Singapore and Thailand. Digonnet will start with North Asia as his first focus and will be based in Hong Kong. Chengdu is MullenLowe Profero's tech hub in China, and Digonnet wants to further develop that hub to serve other markets with platform-development and programming capabilities. "For example, Sapient made a decision to have its tech hub in India, but that didn’t work very well" in terms of growth, Digonnet told Campaign Asia-Pacific. "The big difference between India and China: India is a hub, but not a market yet; China is the opposite. Having an India presence is good for servicing the rest of the world, but India has no domestic market in itself." Digonnet preferred not to dwell on his departure from Publicis Groupe after he was not given a role in the new SapientRazorfish. Leaving was a "natural thing" because Razorfish is now a part of SapientNitro. "It’s hard to make business and talent decisions when the headquarters is 10,000 miles away, leading by assumptions rather than facts," he said. Within Publicis, Digonnet said, he "got so tired of hearing that US is at the forefront of digital, but China is actually 10 years ahead as a digital leader. It’s very difficult to get any conversations going about this market." Arnold commented that the whole Asian region is often misunderstood. "The landmass is misunderstood, let alone the cultures and business practices of 4.4 billion people," he said. "It's under-invested by most agencies and brands, with the exception of Unilever, but having had the privilege of performing the global CEO role from APAC for the last four years, my eyes have been opened again and again to the opportunities this extraordinary region offers." MullenLowe takes a "hyperbundled" approach to serving top-tier brands, including Diageo, HSBC, Kaiser Permanente, Peninsula Hotels, Primark, Unilever and Western Union. According to Campaign's Agency Report Card, half of the agency’s total global digital revenue came from Asia in 2016, but APAC saw only single-digit growth overall. Digonnet has ambitious targets. "Our clients are all Fortune 500 clients going through digital disruption," he said. "I don’t look at their digital budgets just for marketing communications and advertising investments, but beyond that like IT infrastructure, CRM platforms and other consumer-facing technology. There are far more dollars going into those." MullenLowe Profero has a "swiftness" compared to the other companies, which gives it the "agility and speed to actively manage change, as opposed to merely react to it," he said. Asked if he had unfinished business from Razorfish that could be continued at MullenLowe Profero, Digonnet returned to the subject of China. "The whole development of China was stopped because of the business model of Sapient," he said. "A pity because China can be a fantastic hub. This [China] objective fell off at Sapient, as it already had 8,000 people in India, and they needed to feed what they have started." The center of gravity should be Greater China, he emphasized, summing up his 2017 mission at MullenLowe Profero as "accelerating the shift from digital communications to platform building". SapientRazorfish declined an opportunity to respond to Digonnet's comments.